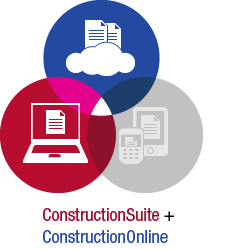 For ConstructionSuite users with TotalCare membership, ConstructionOnline will upload and download project files directly into the entire family of over 20 ConstructionSuite products, including ConstructionSuite Residential, Commercial, and Green versions, giving you seamless integration between your office and onsite teams. 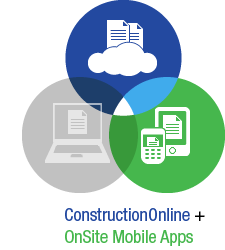 Designed to work seamlessly together, ConstructionOnline and OnSite Mobile apps help over 200,000 users quickly connect and communicate with their entire project team. Share essential project information including calendars, files, photos and more. Create, assign and manage Punchlists from the jobsite or office. Upload photos from the field, comment on plans, view change orders and more. 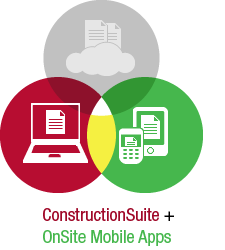 Enjoy the power and convenience of OnSite Mobile Apps at the jobsite. 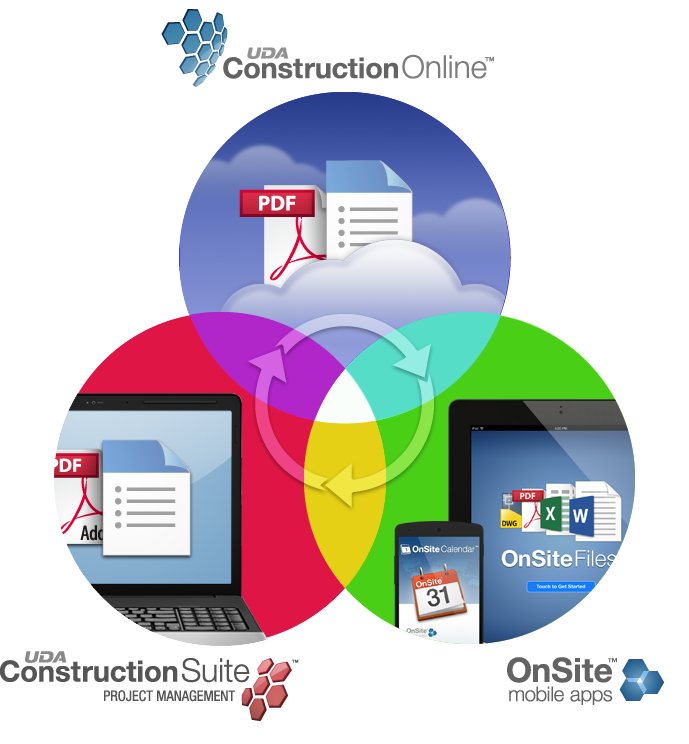 When you need to share information with your project team, ConstructionSuite can directly link with ConstructionOnline to extend data to the full family of OnSite Mobile Apps on iPhone, iPad, and Android devices. Including OnSite Photo, Planroom, Calendar, To Dos, Video and more, the OnSite family of mobile apps add freedom and flexibility to your field crews and extended team members.